Water is at the core of what we do. This page provides information about recreation, water supply, dams, projects and power plants managed by Reclamation's Great Plains Region. WaterSMART is Reclamation's new initiative that recognizes the need for a vigorous public discussion over water issues. WaterSMART is a commitment to moving forward using the appropriate tools to minimize or prevent future water conflict and crises in the West. Hydropower plays a vital role in fulfilling our nation’s energy needs. The Great Plains Region operates 20 hydroelectric power plants, producing enough electricity to meet the demands of more than 250,000 homes each year. Hydropower is the country’s largest and most efficient source of renewable energy. 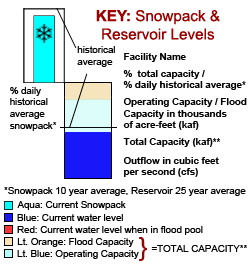 Snowpack & Reservoir Levels: At a glance status of lakes & reservoirs with live updates. 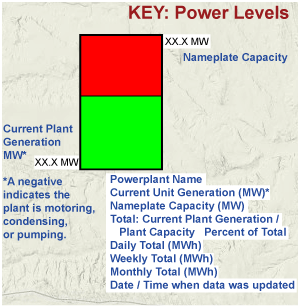 Power Levels: At a glance status of power plant generation. Projects & Facilities Database: Dams, power plants, histories, specs & more. All data provisional. If value of "998877" returns, no data is available. For comments or problems, contact us.